More good news! 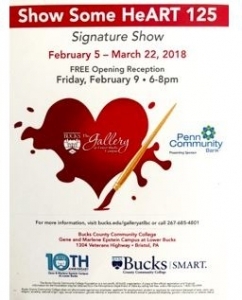 Member Sharlene Holiday recently was awarded BEST OF SHOW at the "Show Some HeART" exhibit at the Bucks County Community College Lower Bucks Gallery. The show is running until March 22, 2018 so you still have time to see it! Congrats to Sharlene!